Each August, MSU hosts a Fall Faculty Summit. The Fall Faculty Summit includes sessions by keynote presenters, student and faculty panels, and insights about student success. Faculty also have the opportunity to participate in technology training. All faculty and staff who have teaching responsibilities are encouraged to attend. Murray State University hosted our Fall Faculty Summit on Friday, August 10, 2018 in the Curris Center, and all individuals with teaching responsibilities were invited to attend. The theme of this year's Summit was Disruption in Higher Education, with keynote speaker, MSU's alumnus, Dr. Jay T. Akridge, Provost and Executive Vice President for Academic Affairs and Diversity at Purdue University. Teaching and Learning (e.g., innovative approaches to teaching and learning, assessments, evaluation, high impact practices, course or program curriculum reform). Leadership and Change (e.g., innovative practices and initiatives, individual and team support, power, and inclusivity). Effective Technologies and Tools (e.g., to support pedagogical innovation, student engagement, accessibility, virtual reality, mixed/augmented reality). 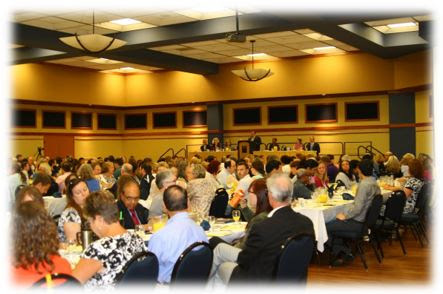 Murray State University will host a one-day Fall Faculty Summit on Friday, August 11, 2017 in the Curris Center. This event will be an extension of our traditional Faculty Back-to-School Breakfast and all faculty and staff who have teaching responsibilities are encouraged to attend. Clara Eagle Gallery on the 6th floor of the Fine Arts Building.